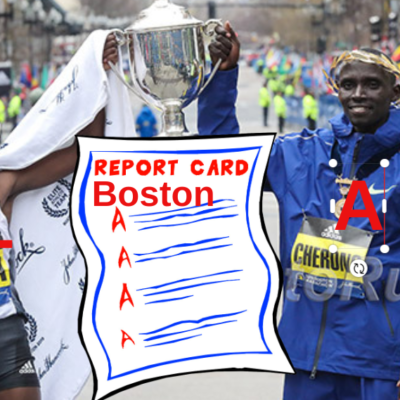 BOSTON — The reign is over. Syracuse University joined the Atlantic Coast Conference in 2013, and since then the Orange men had dominated the conference, winning five straight ACC cross country titles. The last two years, it wasn’t even close: each time, Syracuse put all five of its scorers in the top 10, scoring 29 in 2016 and 27 in 2017. 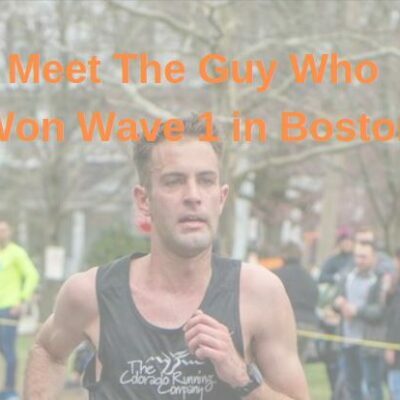 But the Orange suffered heavy casualties in the summer of 2018, losing its top three runners in Justyn Knight, Colin Bennie, and Philo Germano and its head coach in Chris Fox. 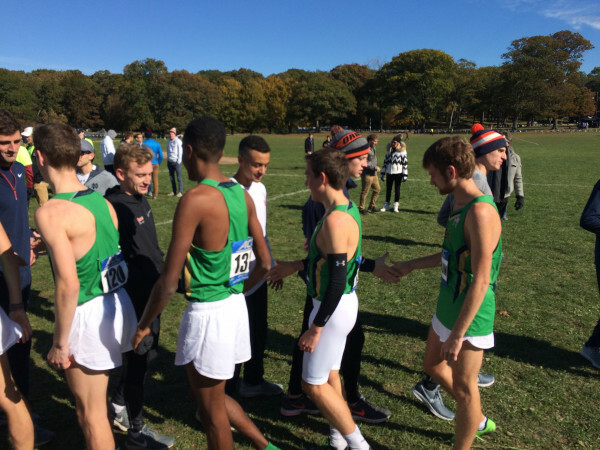 Today, for the first time since joining the conference, #10 Syracuse was beaten at ACCs as #15 Notre Dame edged out the Orange, 57 points to 61, at Franklin Park. 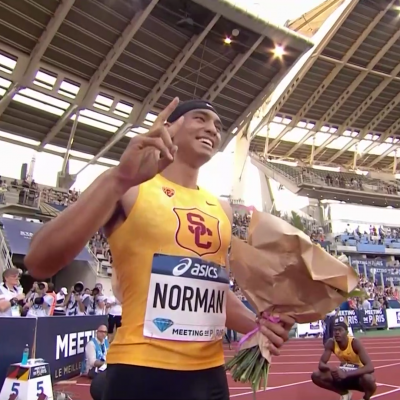 Notre Dame’s winning score was the second-highest in the 65-year history of the meet (only Syracuse, which scored 64 in 2013, has amassed more points and won). The women’s race was even tighter as #12 North Carolina State nipped #18 Notre Dame by a single point, 67 to 68, to win its third straight title. As with the men, the winning score was unusually high — only Virginia (71 points in 2015) has ever recorded a higher tally and claimed the title. Making the story all the more special is the fact that Elly, who was an All-American last year in xc, is the daugher of NC State Coach Laurie Henes. Sean Carlson took over the Notre Dame men’s distance program two years ago, and the Irish finished 10th at ACCs. 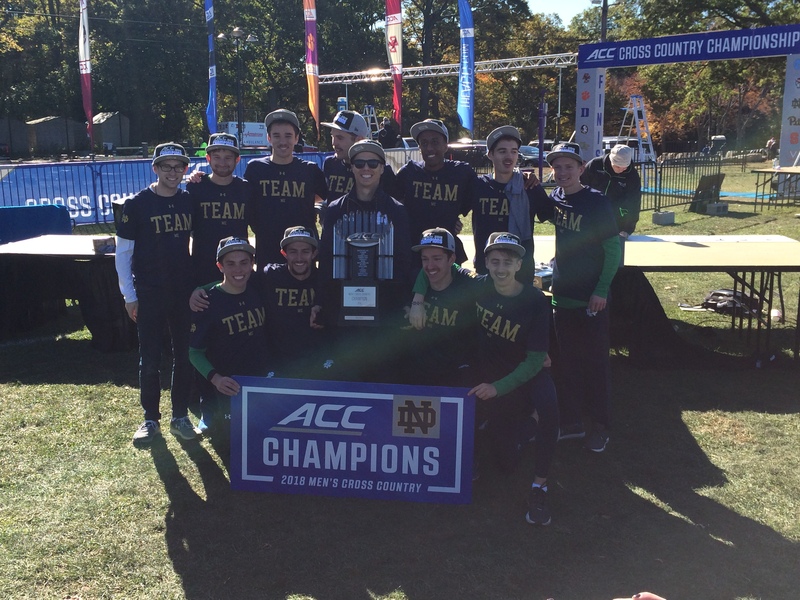 Today, the Irish won their first ACC title and first conference crown since claiming the Big East back in 2005. Carlson credited the turnaround to “culture,” but it may be more accurate to say “talent.” Of the Irish’s top four finishers today, three (sophomore Yared Nuguse, freshman Danny Kilrea, and sophomore Andrew Alexander) weren’t on the roster two years ago. Though Syracuse has owned this conference in recent years, Notre Dame will be tough to beat moving forward. All five of the Irish’s scorers today have eligibility remaining, and they have a stud waiting in the wings in Dylan Jacobs, the 2017 Foot Locker champ, who has yet to race this year. Syracuse beat Notre Dame in the White Race at Pre-Nats two weeks ago, 195-220, but a couple of the Orange’s top guys ran significantly worse today. Aidan Tooker, who was 2nd at Pre-Nats, was only 8th at ACCs today, while Iliass Aouani, who was Cuse’s #3 man at Pre-Nats (43rd overall), was their #8 today (30th overall). 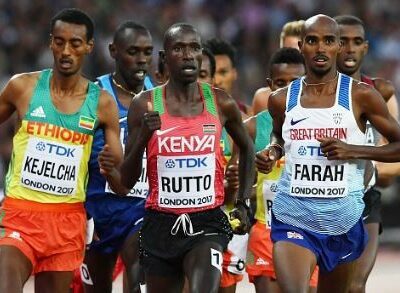 Syracuse actually led at the 6.5k split today, 56 to 59, but Aouani faded from 16th to 30th over the final 1500 meters. Aouani has struggled late in races before; in 2016, he faded from 51st to 128th at NCAAs over the final 2k. Brien Bell, the longtime Syracuse assistant coach under Chris Fox, was understandably devastated that his men finished second in his first year in charge of the program. But the Orange built their success by developing an underdog, chip-on-the-shoulder mentality, and Bell, who blamed himself for today’s result, said that this defeat will serve as fuel for the years to come. Seufer admitted that before the race, he had no idea who Zach Facioni was — the Wake Forest freshman who almost beat him today. But that changed with about 3 kilometers to go when Facioni collided with him. Fortunately for Seufer, he was able to recover and hold off Facioni in a thrilling final-straight duel. Facioni, a 19-year-old freshman from Sydney, Australia, was the surprise of the day as he almost took down Seufer for the win. Facioni was 18th in the White Race at Pre-Nats — only the 4th ACC finisher in that race, 14 seconds behind Syracuse’s Aidan Tooker — but he hung with Seufer until the very end today. His PRs are solid — he ran 8:09 for 3k as an 18-year-old and 3:42 for 1500 in June — but he’s clearly running on another level this fall. Facioni said he was drawn to Wake Forest because of coach John Hayes (formerly the coach at Northern Arizona and Texas), who looks to be going all-in on the Aussie strategy — the Demon Deacons have three Australians on both their men’s and women’s teams. With Facioni leading the way, Wake Forest finished 5th as a team today — the squad’s best finish in 13 years. 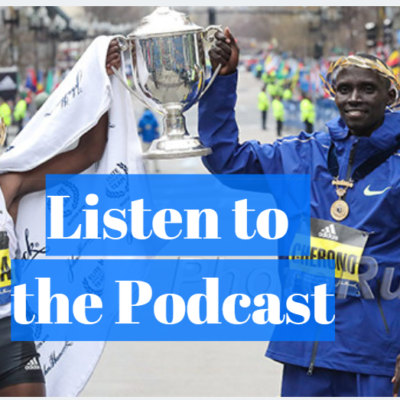 Aussies have found success in the NCAA recently — Pat Tiernan won the NCAA XC title for Villanova in 2016, and Wisconsin’s Morgan McDonald is one of the favorites this year. Facioni, who ran against NCAA 1500 champion Ollie Hoare in high school (they were in the same conference), hopes to be mentioned in the same breath as those guys one day soon. “I want to push as far as I can, try and get a couple of NCAAs titles if possible further on in the future,” said Facioni. 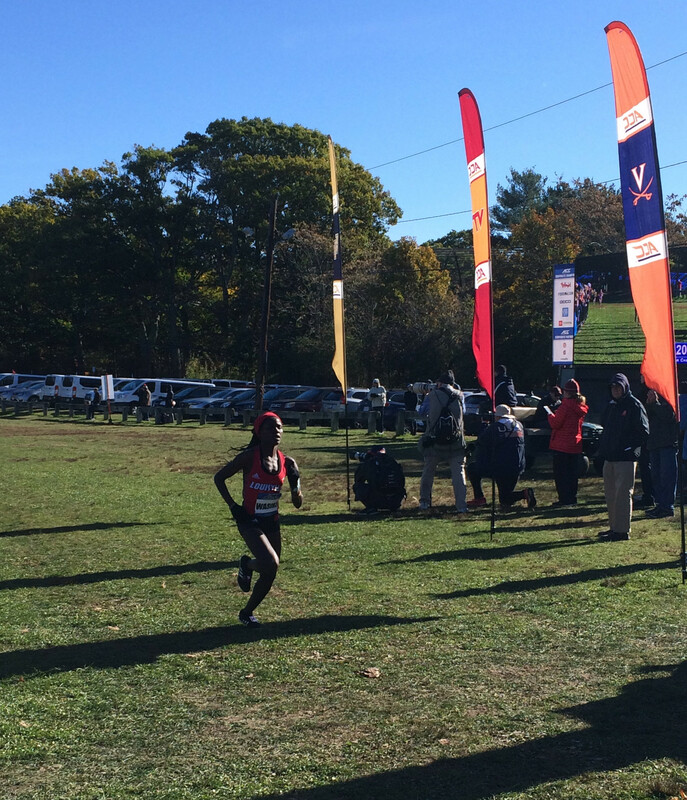 MB: WAKE FOREST IS BACK…TOPS VIRGINIA TECH AND FSU FOR 5TH AT ACC’S!! NC State was #6 in the LetsRun preseason top 10 but hasn’t run like a top-10 squad this year as the Wolfpack was only 10th at the Nuttycombe Invite and 5th in the Cardinal Race at Pre-Nats. But there is a reason for those struggles. Beth Taye, the team’s #2 runner at NCAAs last year, is injured and hasn’t raced all fall; neither has Ryen Frazier, who was also on the NCAA squad in 2017. Instead, the Wolfpack has had to rely on their younger runners (eight of their 10 runners today were freshmen or sophomores), and today, they delivered. 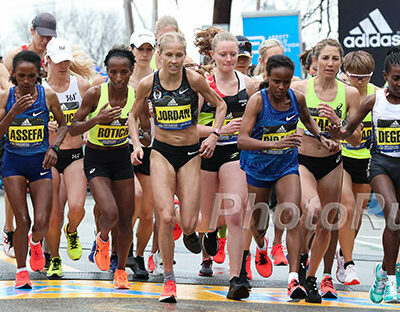 Henes’ daughter, Elly, played a key role, finishing as the top scorer and running down Anna Rohrer in the home straight, but the win was a true team effort as sixth and seventh women Isabel Zimmermann (29th) and Heather Holt (32nd) both finished ahead of Notre Dame’s #5 Annasophia Keller. Without those two women, NC State doesn’t win today. 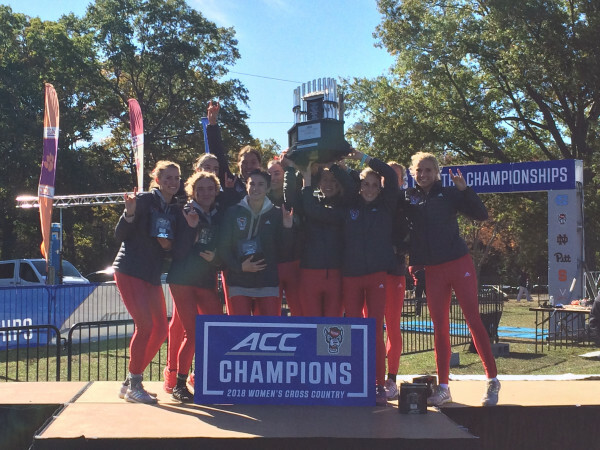 MB: Cool story from ACCs – Coaches daughter Elly Henes delivers mom Laurie an ACC title. 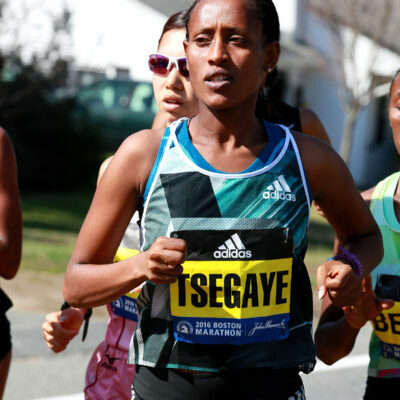 It was a little chilly today in Boston (it was in the 30s for the women’s start), and though Wasike said that she didn’t enjoy the cold, she won comfortably nonetheless, pulling away just before climbing Bear Cage Hill for the second time. Wasike better bundle up if she wants to contend for the win at NCAAs three weeks from now in Madison, Wisconsin, where it figures to be even colder than today.